Cronins Coaches - Coach Operator of the Year 2016. Cronin’s Coaches will be celebrating their 60th Anniversary in 2017. The provision of top quality vehicles and service is at the core of Cronin’s success. This year we are delighted to have been recognised for the standard of coach hire we provide and have been awarded Coach Operator of the Year 2016. The next generation of the Cronin Family is working hard with a staff of 60 people to maintain our reputation as one of the top Coach Companies in Ireland. 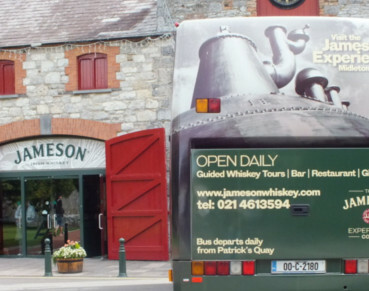 Cronin’s Coaches have specialised in Coach tourism for over 40 years. We have worked with many established companies such as Collette, Trafalgar, CIE Tours, Gate One and Miki Travel to name a few. Cronin’s Specialise in Corporate transport solutions with a wide range of vehicles from executive cars, MPVs, Mini Executive Buses to larger Executive spec coaches. Cronin’s Coaches have a long standing relationship with many of the local sports teams including the Cork Hurling and Football Teams, Dolphin RFC and Ashbourne RFC to name a few. Cronin’s specialise in private coach hire for all types of journeys and events. We have a selection of vehicles from executive cars, MPVs, mini buses, mid size coaches to 53 seater coaches and 74 seater double deckers. 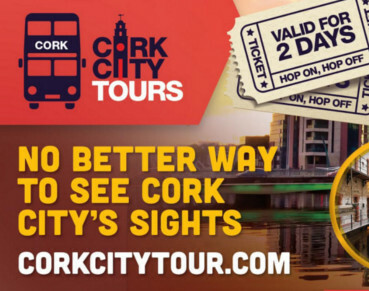 Cronin’s specialise in day tour itineraries, city tours and local attraction visits including Cork City Tour, Jameson Experience and Cruise Ship outings to name a few. Cronin’s have been running coaches to Lough Derg, Knock and Lourdes and can cater for all sizes of groups.